Amylin Pharmaceuticals, Inc.(Nasdaq: AMLN) announced today the availability of the SymlinPen(TM) 120 and the SymlinPen(TM) 60 pen-injector devices for administering SYMLIN(R)(pramlintide acetate) injection. These new pre-filled pen-injector devices feature simple, fixed dosing to improve mealtime glucose control. 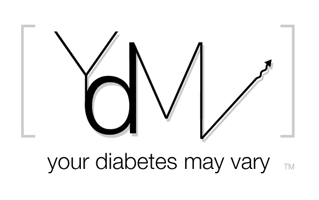 complications in mostpeople with type 1 diabetes, in many with type 2 diabetes, and is sometimesfatal." So haven't people been using low doses of glucogon all along? How do you get a patent for what people are alredy doing. I wonder if this has implications for a closed loop artificial pancreaus. I would think that providing glucogon could be part of the program. I think you may be making a mistake of assuming that because the dosage of glucagon is smaller than insulin it means it is a "small" dosage. The usual adult dose for glucagon used for treating hypoglycemic emergencies is 1 mg (approximately 1 unit), for children weighing less than 44 lbs., the recommended dosage is 1/2 adult dose (0.5 mg). However, in normally-functioning physiology, the amount of the hormone glucagon released by the pancreatic alpha cells (which are also found in the Islets of Langerhans that are destroyed by the body's immune system in type 1 diabetes), this would be considered an exceptionally large dosage by comparison. It is entirely possible (and even wise business sense) to patent an idea that is not served by the marketplace currently. In this case, the function is not a rescue from severe hypoglycemia, but to prevent that from occurring in the first place. Without having reviewed the patents, it could be a patent on the way in which the product is manufactured, or perhaps the ratio of the suspending agent (liquid) that the hormone is contained in. As for the question about glucagon in the so-called "artificial pancreas", you should be aware that in the March 2007 edition of JDRF's "Frontline" (Issue 63), it was reported that testing was already underway on using glucagon in a closed-loop setting. "Researchers at Boston University have shown that glucagon can be used effectively in tandem with insulin in a closed-loop setting. In studies using diabetic pigs, the insulin-glucagon combination quickly increased glucose levels and helped maintain normal-range levels without incidence of hypoglycemia. Results have been so encouraging that human tests could begin by the middle of this year." Hi Nice Blog .In this, the body is studied by regions rather than by organs. This is of importance to the surgeon who exposes different planes after the skin incision and who, of course, must be perfectly familiar with structures as he explores the limbs and human endocrine system cavities.